Interior design has taken a new direction for 2018, making a personalised statement. Say goodbye to millennial pink walls and say hello to bold patterns and colour. 2018 is taking decoration to the max with tropical patterns, courageous pigments and geometric shapes. 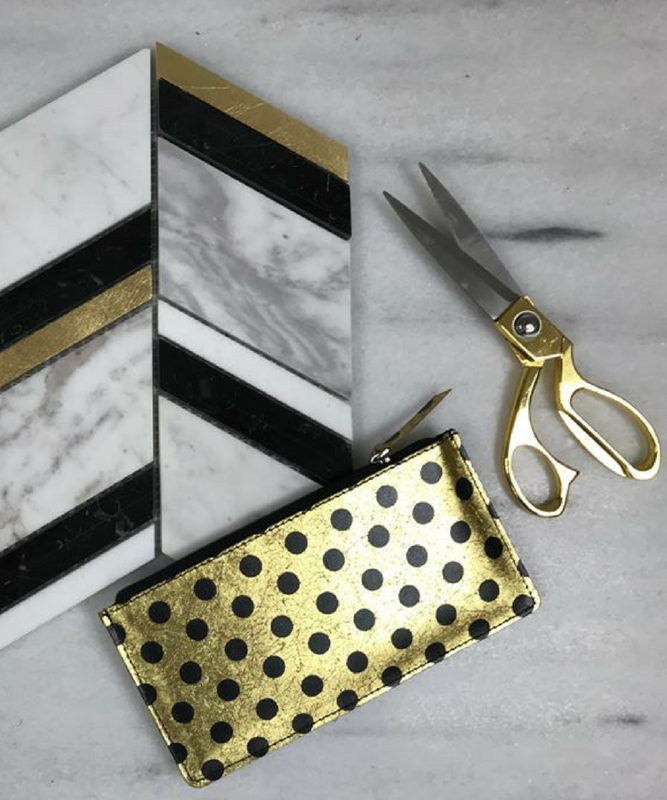 Instead of rose and copper gold, polished gold and brass are looking to hit the scene. These bright metals will add a touch of sophistication and warmth to a space, creating a timeless look. The new Ritz Collection – launching London Design Week 2018. Bold pigments are set to be hot this year with ultra violet making a splash. Described by Pantone as “a dramatically provocative and thoughtful shade”, ultra violet is the perfect colour for creating that one in a million look. Millennial pink is out the door with peach setting the trend for this year. 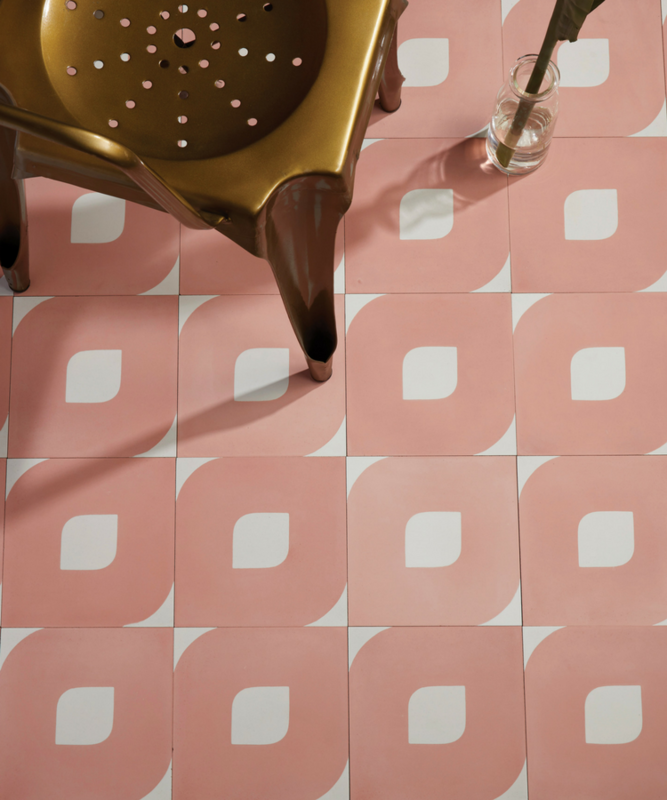 The ’80s salmon coral pink is a pretty colour, easy to pair with neutral interiors. The eye-catching shade can make an interior feel light and bright. 2018 is the year of beautiful interiors which are irresistible to touch. Plush upholstered velvet sofas are making a comeback, along with leather headboards and quilted chairs. It’s all about mixed materials, creating a tactile space which feels luxurious. Shapes and colour are going to be big for 2018. Images of white washed wood floors, minimalist kitchens and pastel bathrooms will no longer dominate Pinterest boards. 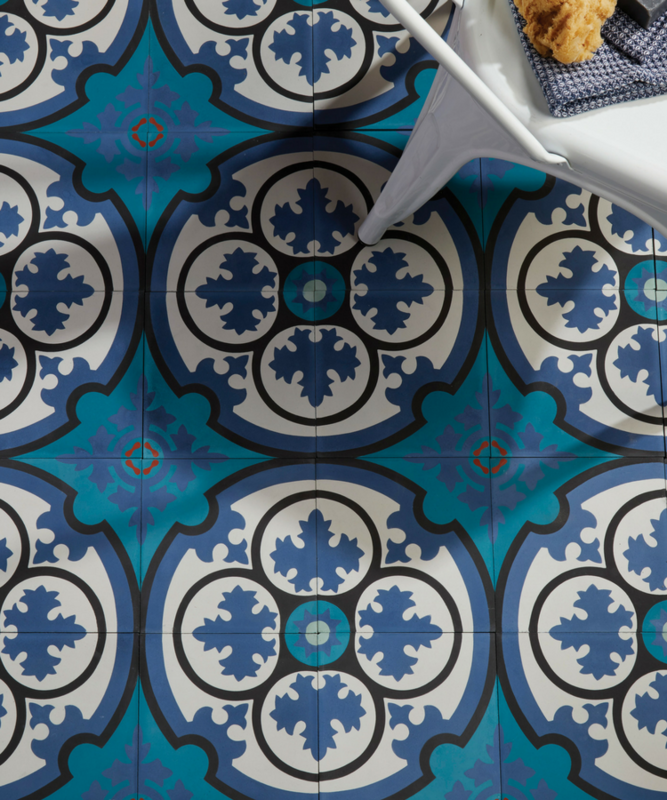 Bright, bold patterned tiles will steal the limelight, with feature walls, floors and rug formations. 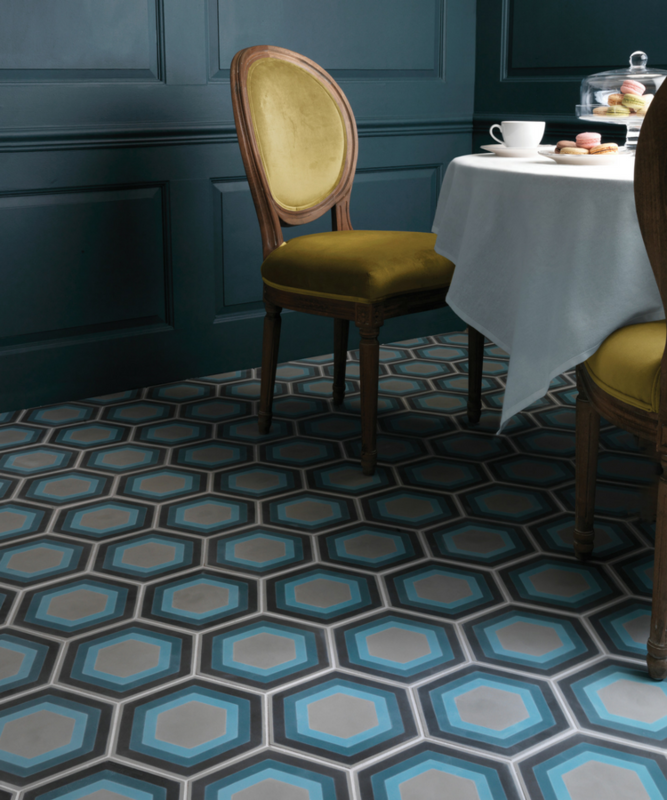 Funky geometric shapes are on the rise, with hexagons appearing in floor tiles, chair backs, lighting and tables. The sleek lines and defined corners add interest to a room. The geometric shape taps into the outdoor/indoor trend, where form meets natural design. 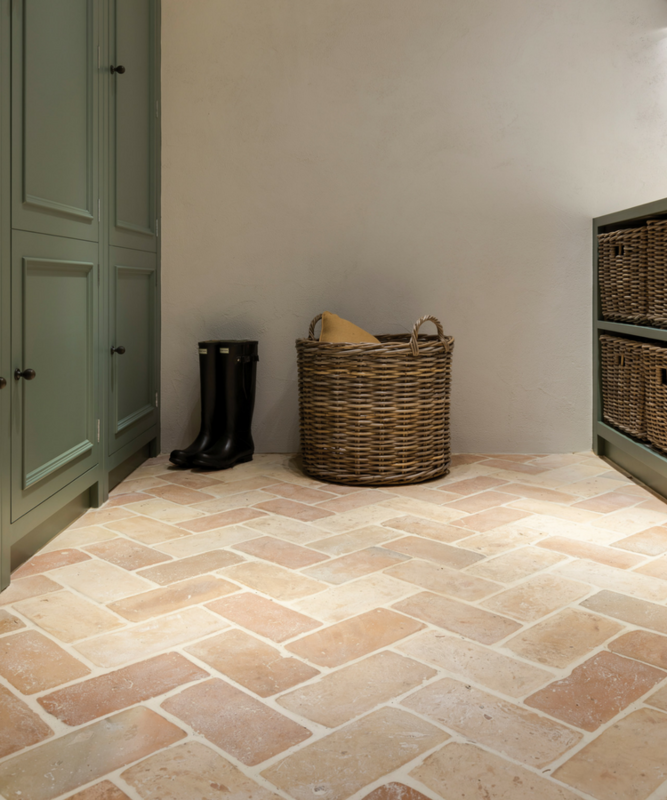 The Scandi look of white washed wood floors is on its way out, whereas warm stone floors in a herringbone pattern are in. 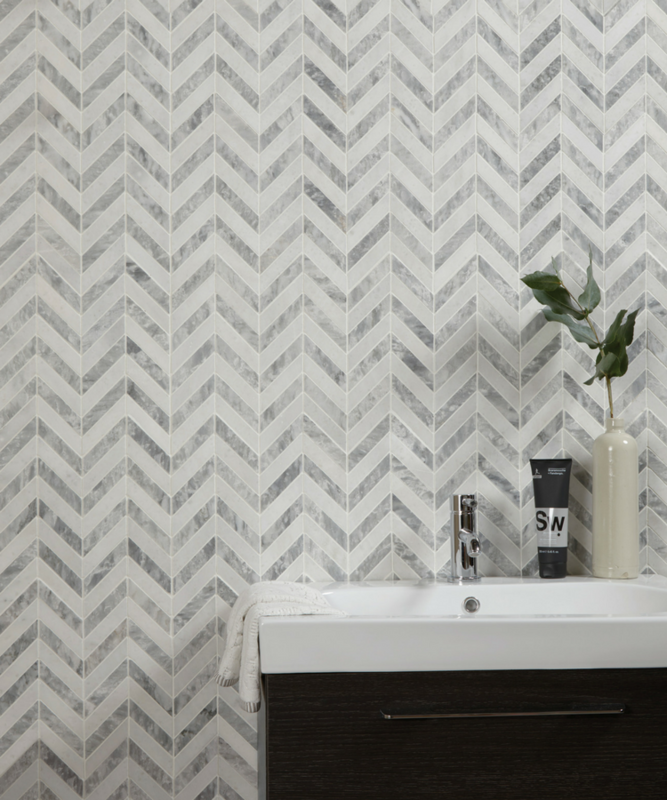 Stone creates a classic, timeless look, while the herringbone pattern adds a contemporary twist. The chevron pattern has been popular for a while, and will continue to feature in interiors for 2018. The sharp, sleek lines, make a space feel bigger and add a touch of interest to a space. 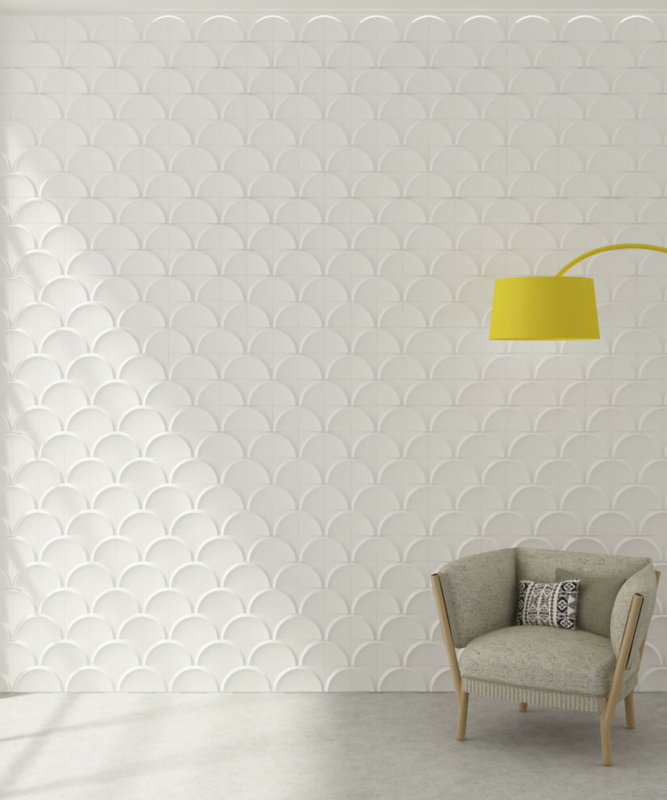 Chevrons will be seen on walls using brick ceramic tiles and woven into fabrics. 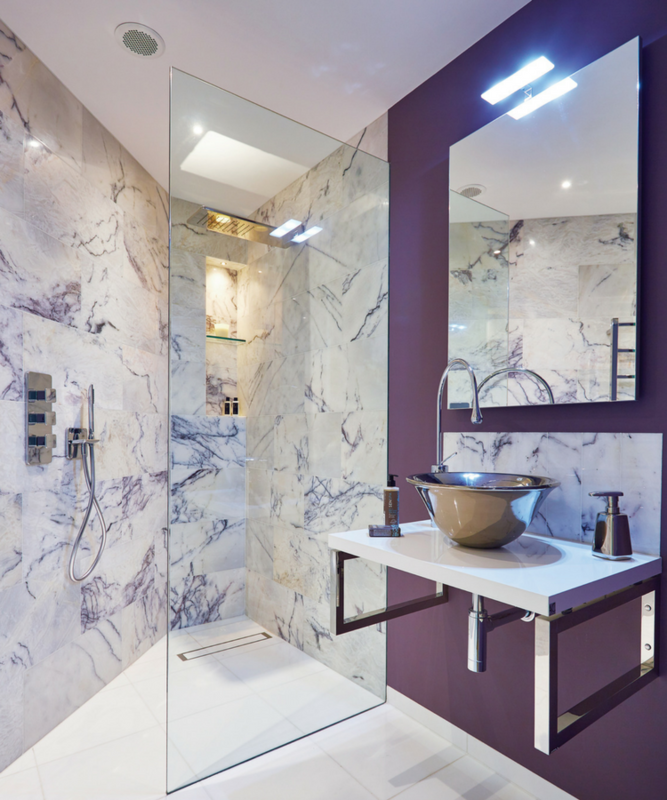 Marble has a timeless appeal and continues to be a staple in the design industry. Bright interiors with velvet sofas and gold accents will be paired with beautiful marble flooring. 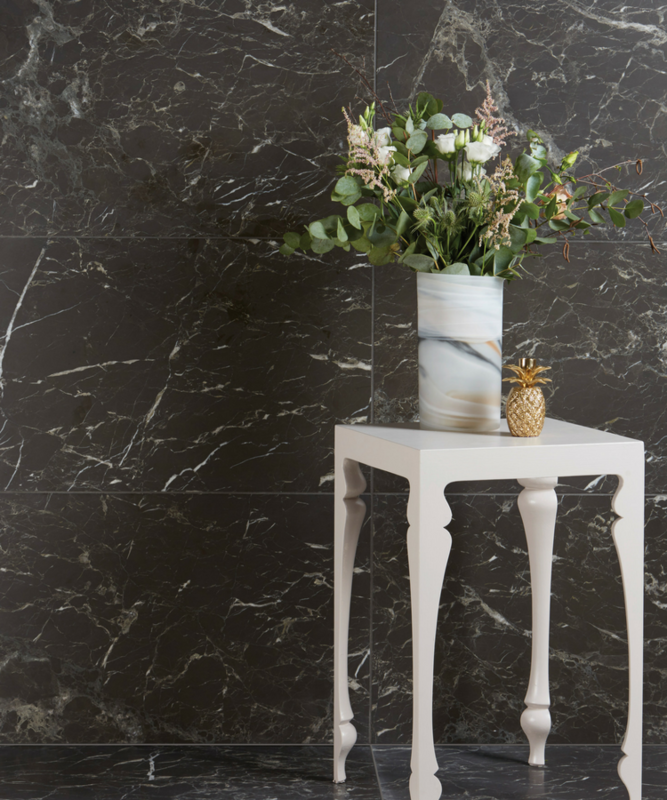 The natural veining in the marble will add drama to the design. Cool in the ‘70s, uncool in the ‘90s, cool in 2018. Terrazzo is back. 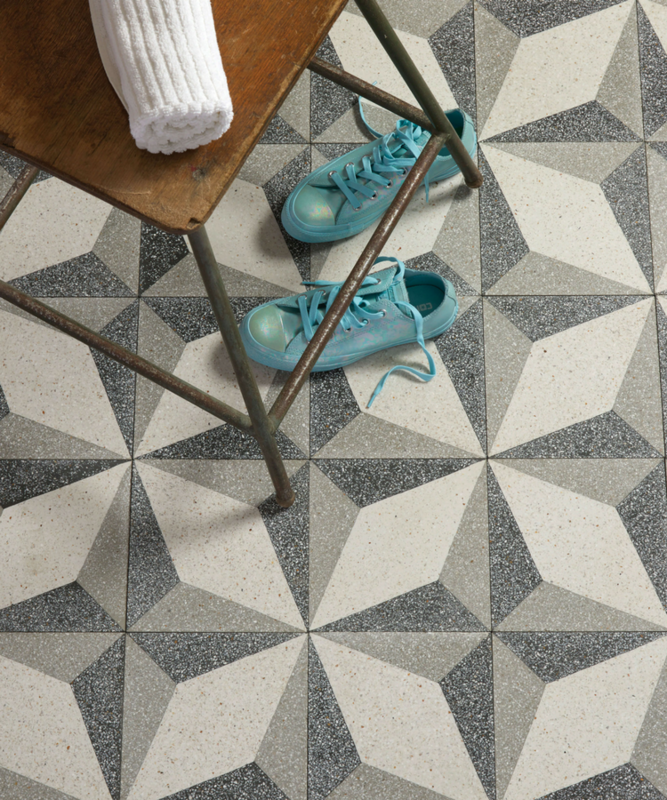 The colourful floor tiles add an incredible edge to any room. Terrazzo Porta Romana pattern tile.